We are in the midst of designing a new site dedicated just to our design school, please check it out and let us know what you think? This is a monthly Design Club at Dragonfly Farm. 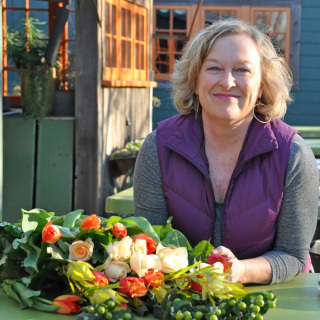 Classes are designed to inspire your passion and deepen your skill level while using seasonal flora and unique foliage from Bonnie's magical garden. Each class will consist of Demonstration, Instruction, and Hands-on Experience. 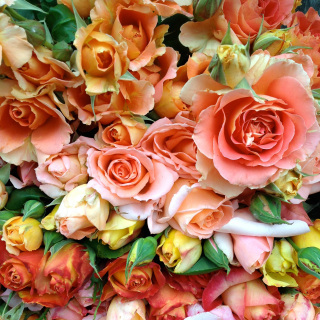 You will ALWAYS walk away with an arrangement you Love! Plus, you'll leave with new insight into the intriguing world of floral design and how to live indoors and in harmony, with the natural world. Cost of each class is $95. Each class can be taken on it's own. You do not have to join a "club" per se, but there are benefits to signing up for more than one class. **Sign up for 3 classes and save 10% on these classes plus, anything you buy in the store for the rest of the year. **Sign up for all 6 classes and save 10% on these classes, 10% on anything you buy in the store for the rest of the year plus, get your very own Dragonfly Certified Floral Design Kit including: clippers, snippers, wire & tape in a cute little tote. Sign up for 3 classes and save 10% on these classes plus, anything you buy in the store for the rest of the year. Book your specific classes with Pam. Please see the calendar below for dates and descriptions. Sign up for all 6 classes and save 10% on these classes, 10% on anything you buy in the store for the rest of the year plus, get your very own Dragonfly Certified Floral Design Kit including: clippers, snippers, wire & tape in a cute little tote. In late Winter to early Spring mother nature taunts us with what's to come through the blossoming of glorious branches. Think flowering quince, magnolia, redbud, apple and pear! Bring your favorite large container and learn how to work with the simplicity of natures first explosion of color. 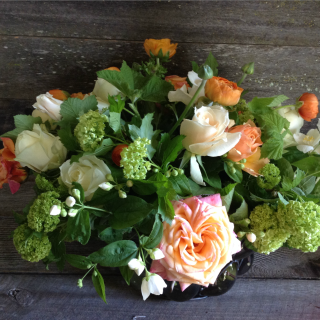 This is the beginning of a series of classes that will walk you through all the steps of Specialty Floral Design. 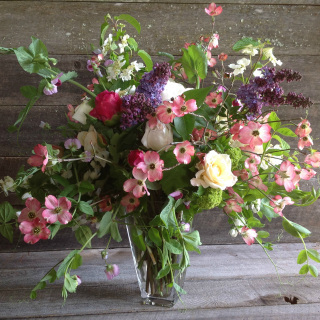 In this class we will discuss tools, containers, structure, texture, framework and the inner workings of basic floral designs along with how to choose and condition your flowers for longer shelf life. The knowledge of which creates an essential foundation for more advanced work. This class will include discussion, demonstration and design. 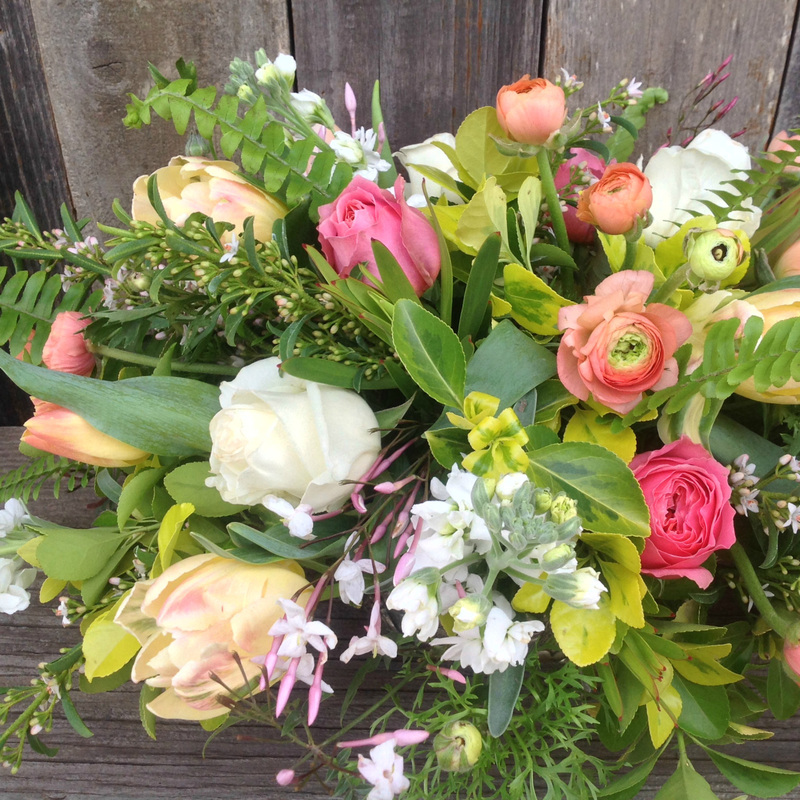 If you've ever wanted to learn floral design from the inside out, whether a brand new to this art form or a hobbyist, this class is the first step! This class will be followed by an Intermediate Design class in May and an Advanced Design Class in July. Note: Bring a sack lunch. We will have a 30 minute break at 12noon. Join us for this much anticipated one day workshop where you will learn The Art of Wedding Flower Design including: Bridal Bouquets, Brides Maids Bouquets, Boutonnieres and Corsages. *Learn to wire, assemble and design: 1 Bridal Bouquet, 1 Brides Maids Bouquet, 1 Corsage and 1 Boutonniere. 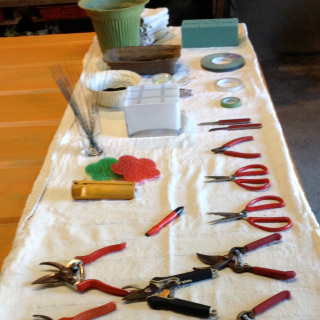 *Learn about finishing touches: Ribbons, Wires, Wrappings, Pearl Pins and more! This class is for anyone wanting to learn The Art of Wedding Floral Design! Great for Brides, Bridal Parties, Friends of Brides, Mothers of Brides or even those who are passionate about flowers and have always wanted to know how to create a beautiful handheld bouquet! 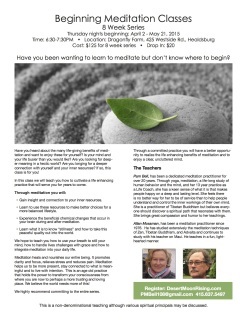 Please join us for this intimate and inspirational day at the Farm! A beautiful farm to table lunch will be included and enjoyed in our picnic grove. We will meet at Dragonfly Floral at 8AM. We will arrive at the de Young at approximately 9:30AM and be amongst the first of the morning visitors to the museum. 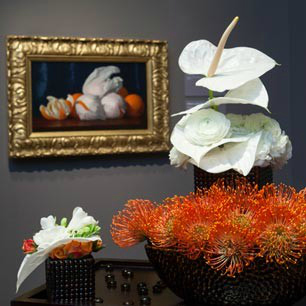 The day will include: touring of the Bouquets to Art floral sculptures, lunch in the de Young Cafe, a lecture and floral demonstration by David Monn, one of New York Cities premiere Floral & Event Designers known as the "Architect of Style." His lecture with demonstration is titled, The Secret Rules of Engagement: Scale, Detail, Authenticity." and of course the company of your gracious host and chauffeur, Pam Bell. Cost of this tour is $135, includes everything! Reservations and registration for this tour must be made by March 31st in order for me to secure the necessary tickets for this event. The sooner the better! No promises can be made with regards to whether or not David Monn's lecture will sell out but if so, the prices will be reduced for those who reserved late and they will be able to visit other special exhibitions while the lecture is taking place. If you know you want to attend this tour and especially this special lecture, please sign up ASAP. Ticket price includes a $25 credit in de Young Cafe. All rates include travel insurance. 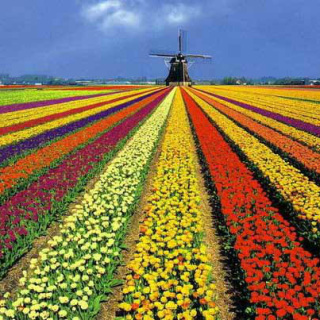 Join Pam Bell, senior floral designer and seasoned traveler, as she and local guides tour you through Amsterdam in the Spring! You will: visit Aalsmeer Flower Auction (the largest flower auction in the World); Keukenhof Gardens (where over 7 million bulbs of tulips, daffodils & hyacinths are on display); Ride Bikes in the Tulip Fields surrounding Keukenhof Gardens; Take a half-day Dutch Floral Design Class at Boerma Instituut International Floral Design School Holland; Visit both Van Gogh Museum & Rijksmuseum Amsterdam with a docent led tour discussing florals in 17th century Dutch Masters paintings; Enjoy a historic walking tour through the streets of Amsterdam and a Boat trip along Amsterdam's charming canals; Visit the town of Edam and a cheese farm with demonstrations of how this cheese is made; and so much more! There will be plenty of free time for discovering Amsterdam on your own. Tour will include lodging in 4 star accommodations, all excursions, a Welcome Dinner, a Farewell Dinner and a picnic lunch. This is a Floral-centric trip designed for Floral Enthusiasts and Adventurers like Yourself! Pamela Bell is our lead designer she has been working with flowers for over 20 years. Pam owned and operated Bell & Trunk Flowers in San Francisco for nine years. 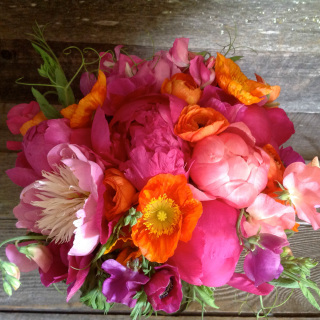 She developed a natural and organic style that helped to set the trend in the floral designs we see today. She designed for hotels, restaurants, weddings and events in the Bay Area and sold her shop in 1999. Since then, she has been a freelance designer for other florists in the area while pursuing her other passion of consciousness and wellbeing. Pam Bell is also a Life Coach, Hypnotherapist, Writer of a popular blog on conscious living, and a columnist for the Petaluma Post. From fiber art to flowers is not such a great leap. Both involve color, texture and fiber. Bonnie has degrees in textiles from California College of the Arts and The School for American Craftsmen. She spent many years creating for galleries, museums, shops and juried shows in Cleveland, New York, Boston and the Bay Area including Obiko which was on of the first wearable art galleries in the country. Gardening, however, was her obsession and when she ran out of room in her Point Richmond garden, her family moved to 6 acres in Healdsburg. After removing the existing vineyard, the plan had been to grow specialty vegetables in summer and continue with textiles in the winter, but farming became a full time occupation. Along with the beautiful fruit and vegetables we were providing for restaurants and caterers, we were also growing flowers. Needless to say, the flowers started edging out the vegetables. After a few years Carrie Brown, owner of Jimtown Store, asked us to provide arrangements for a wedding and that's how it all started. Bonnie Z and her team have done thousands of arrangements over the last 20 years.